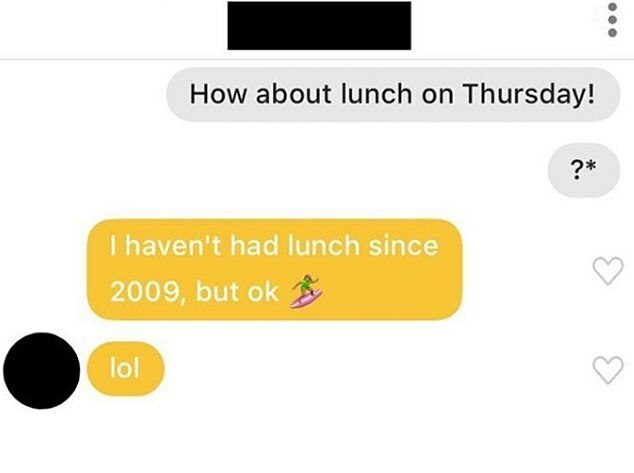 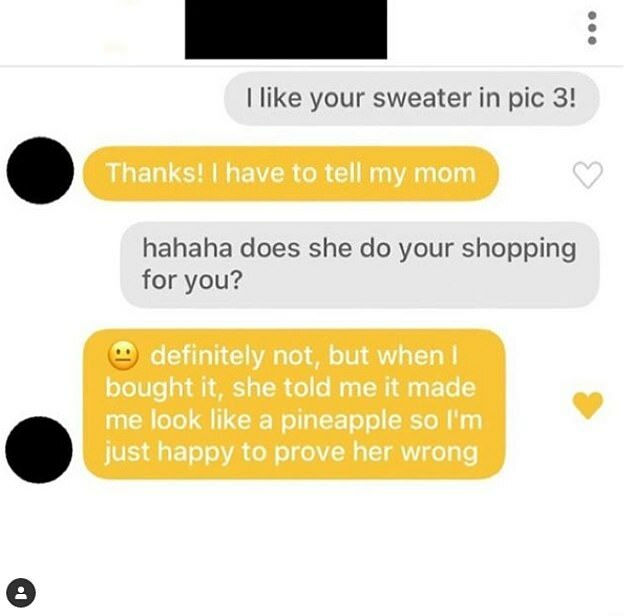 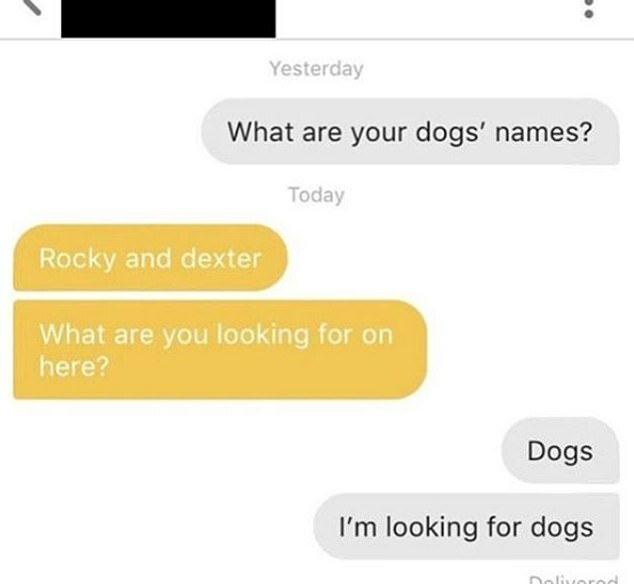 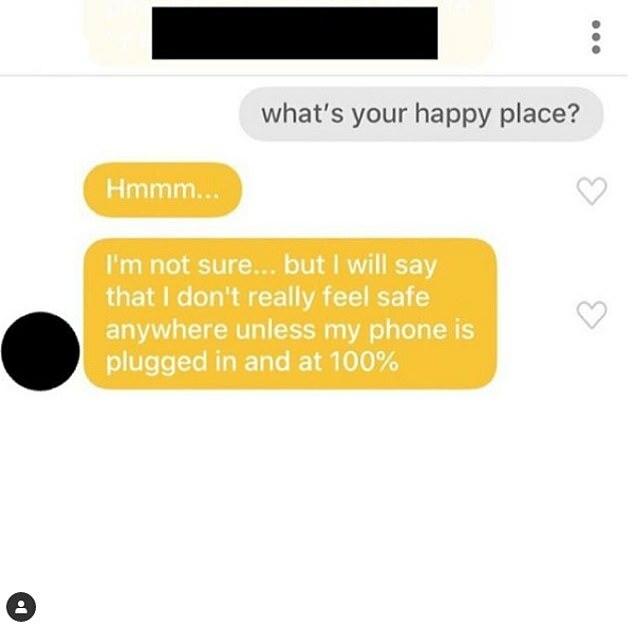 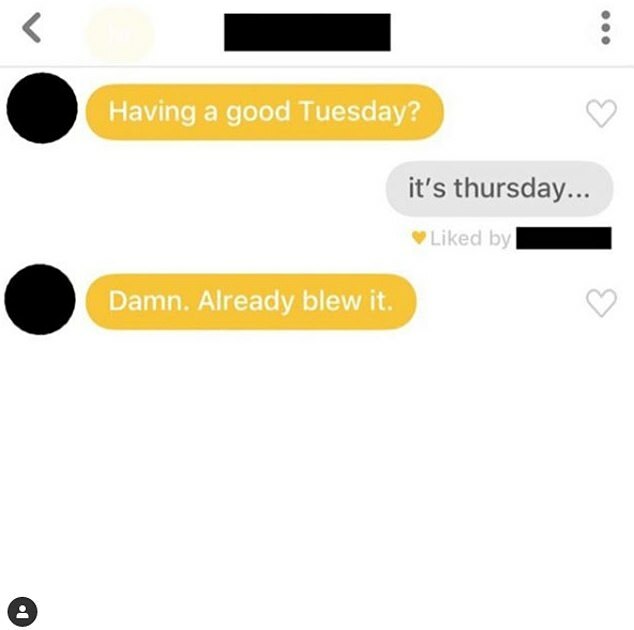 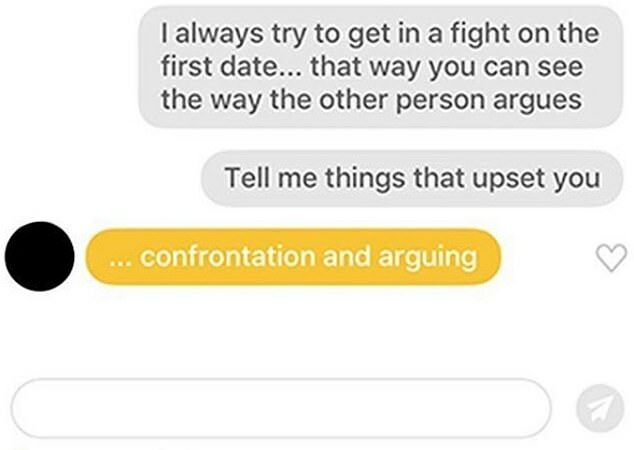 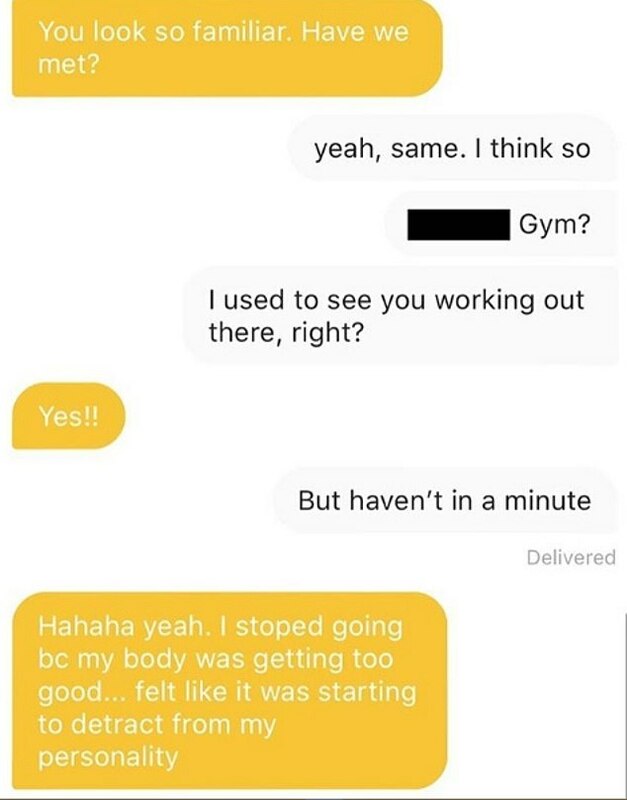 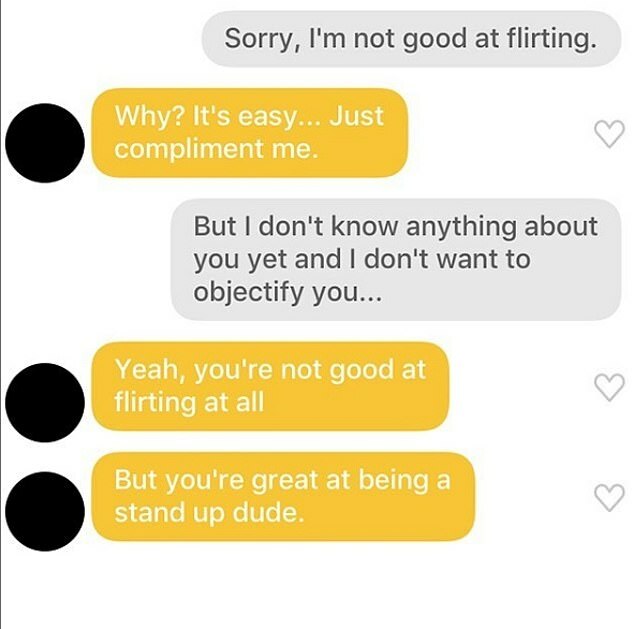 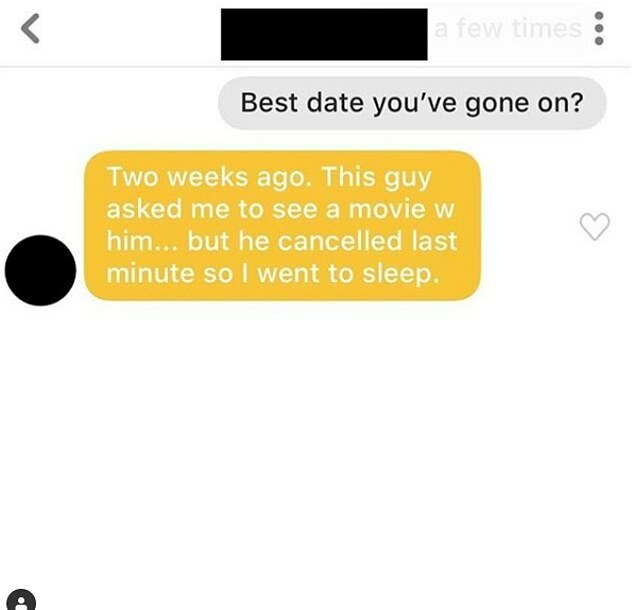 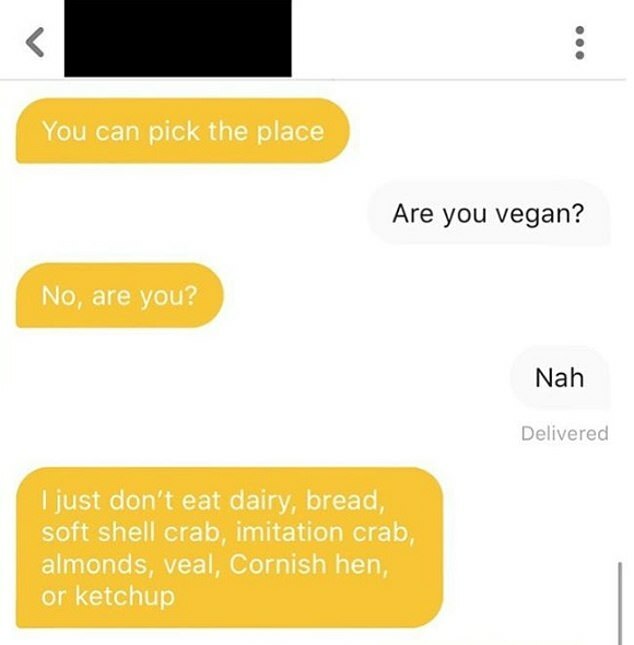 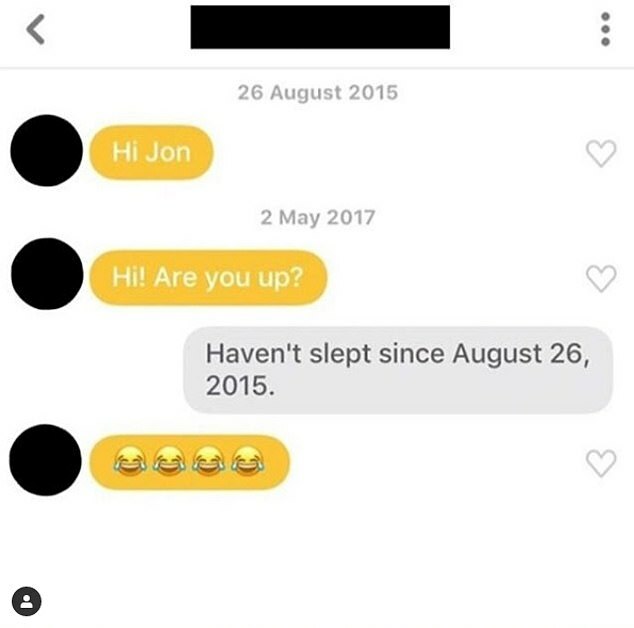 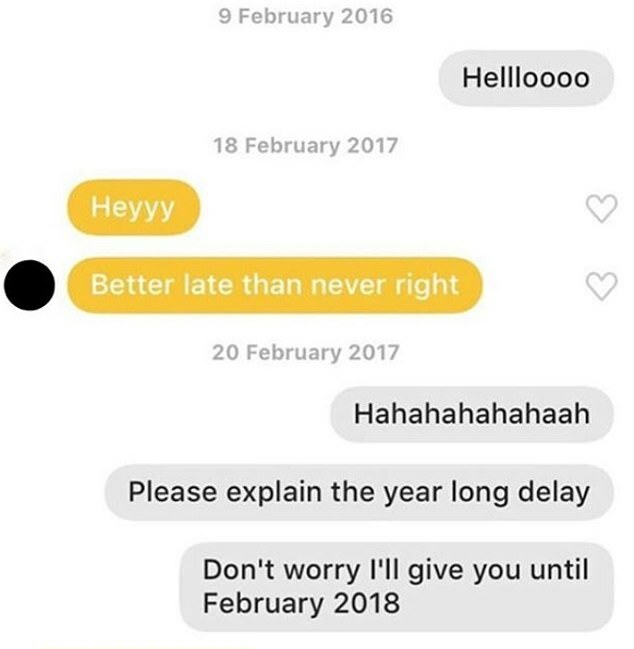 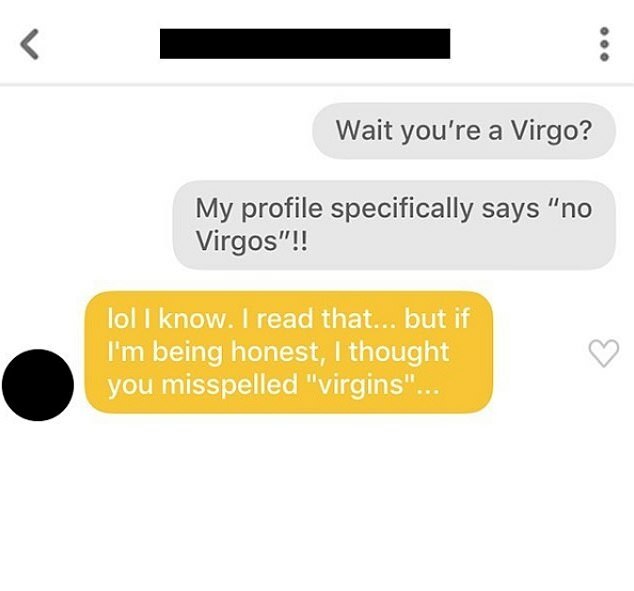 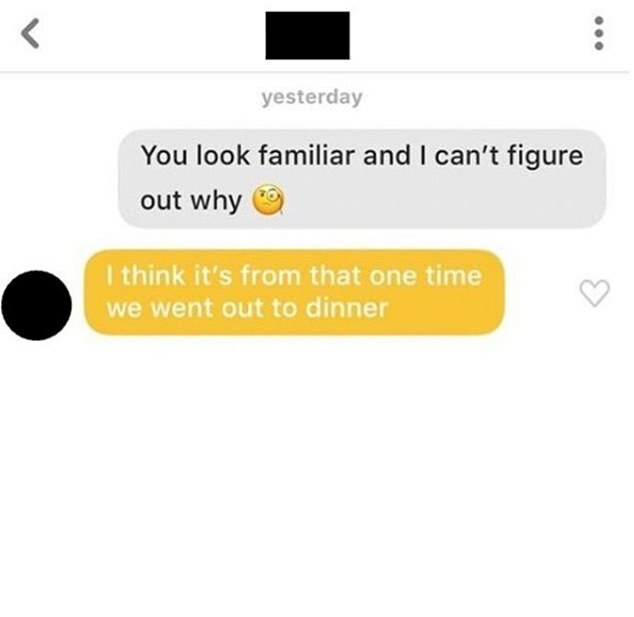 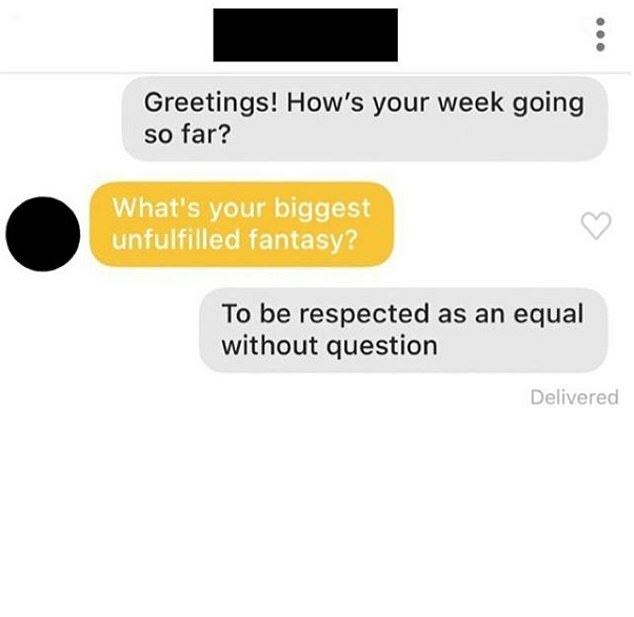 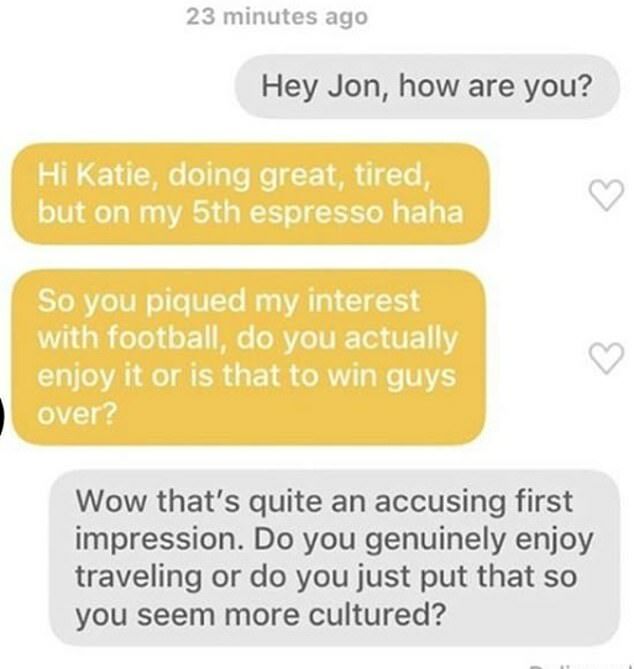 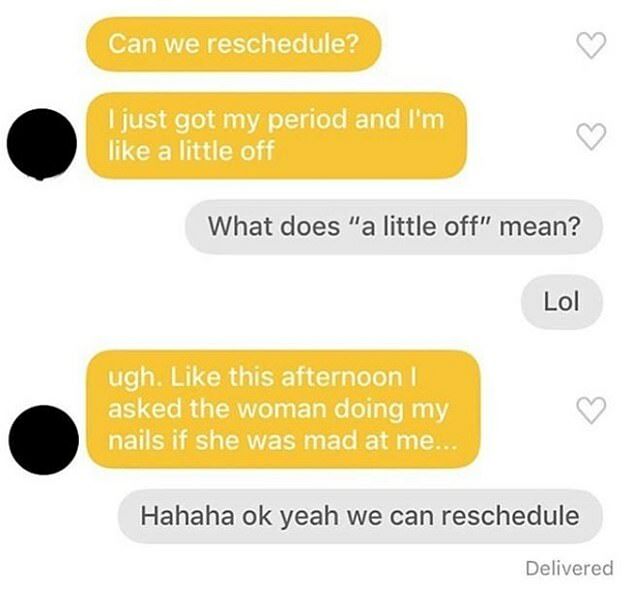 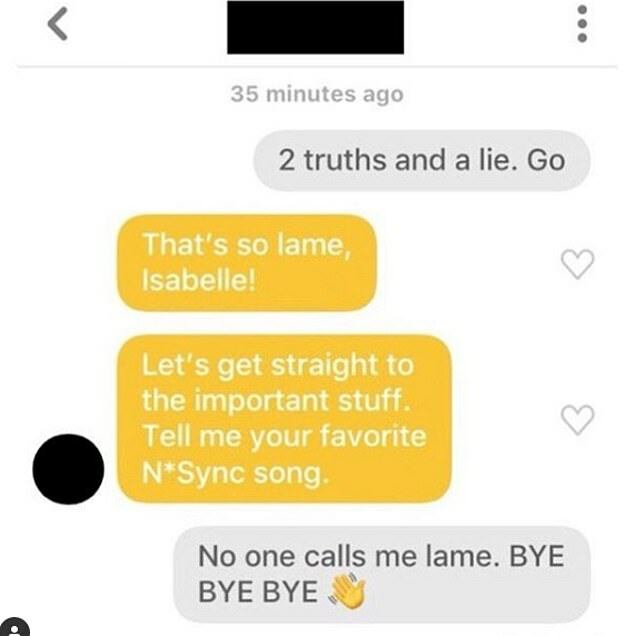 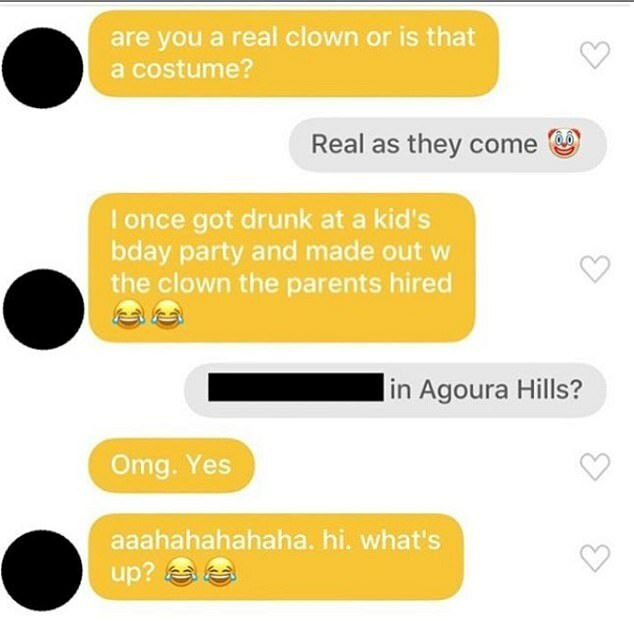 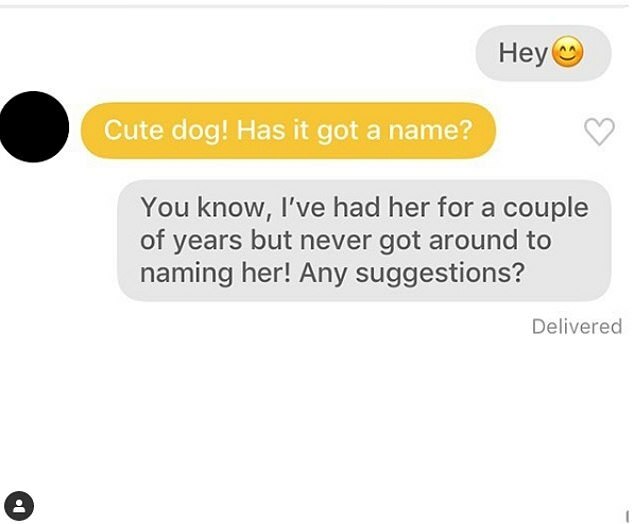 When you match with someone new on a dating app, that first conversation can be a little awkward, but a hilarious Instagram account is providing masterclass in what not to say. 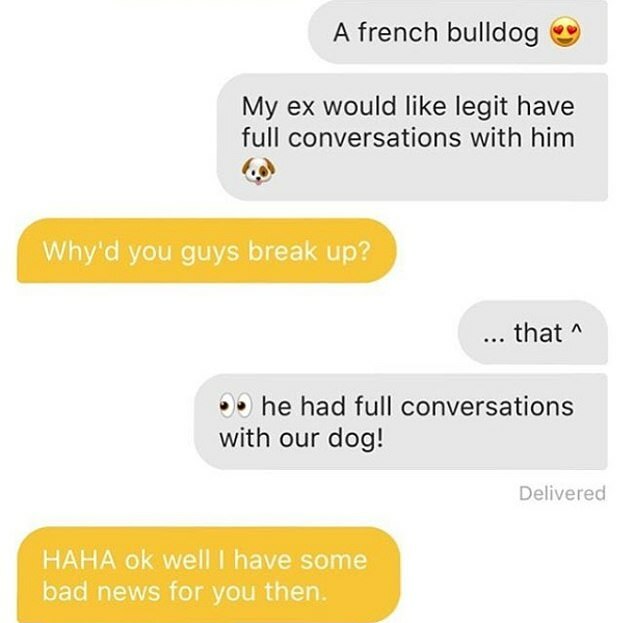 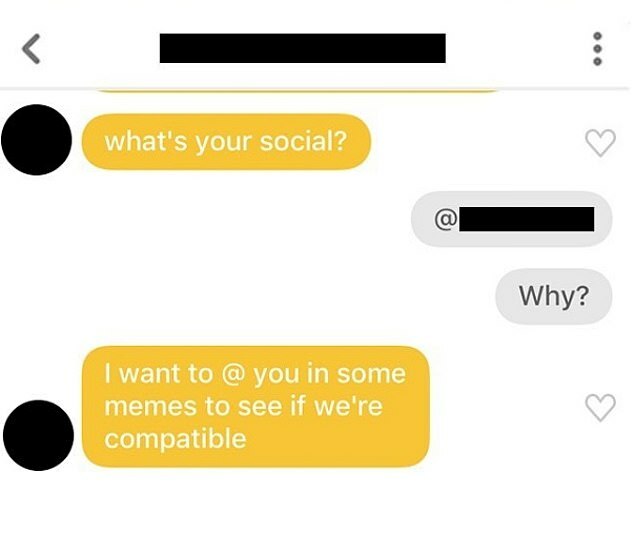 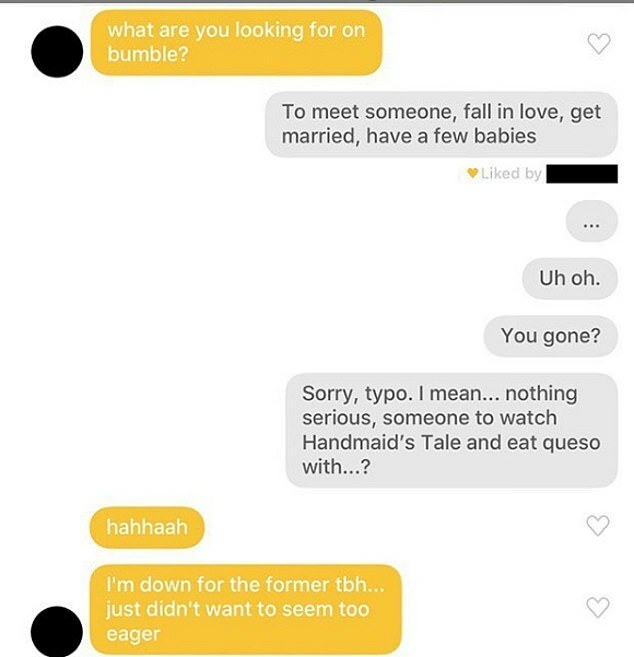 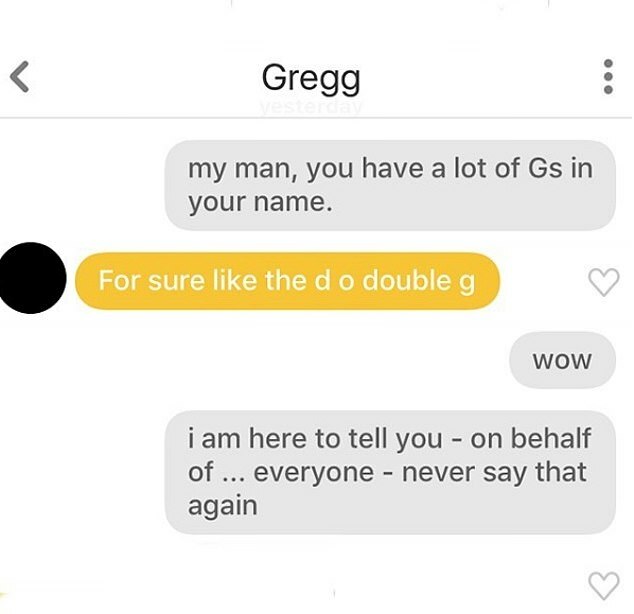 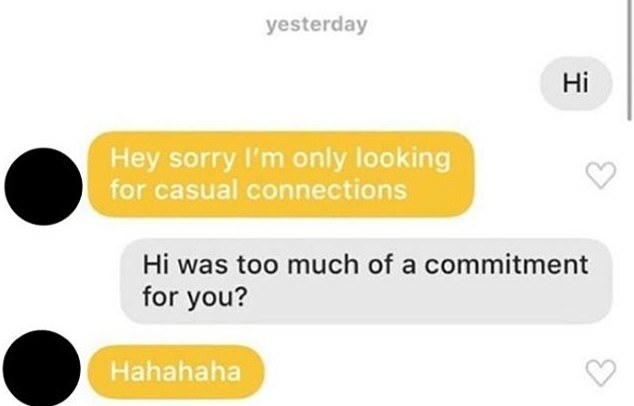 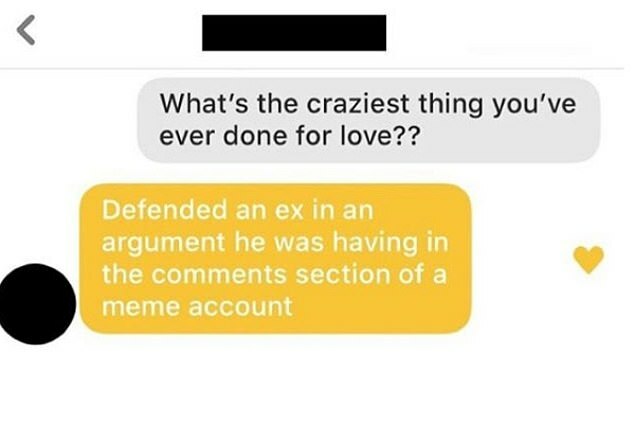 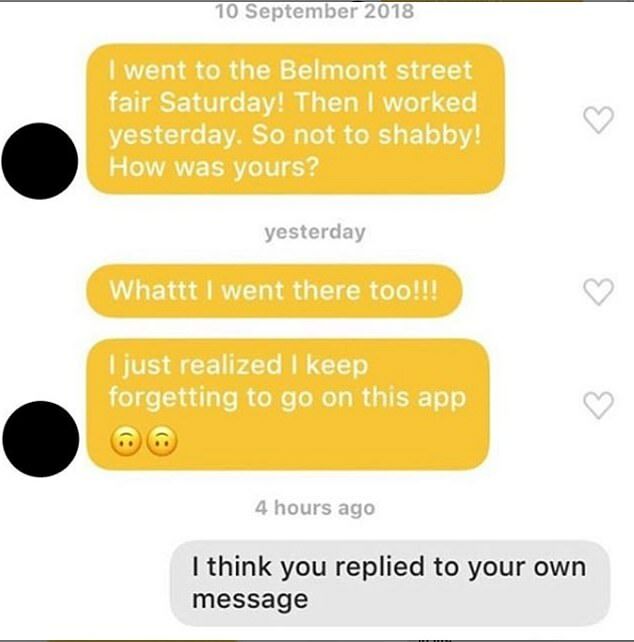 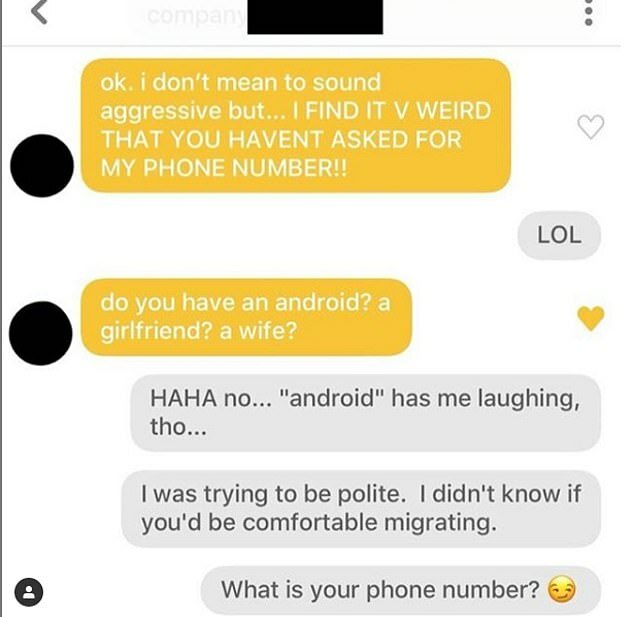 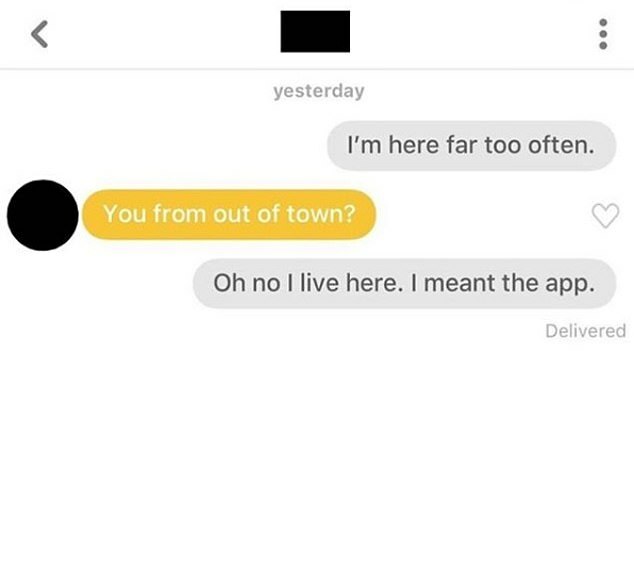 Overheard Bumble, has garnered nearly 200,000 followers, by sharing screenshots of hilarious conversations between users of the dating app from the UK and the US. 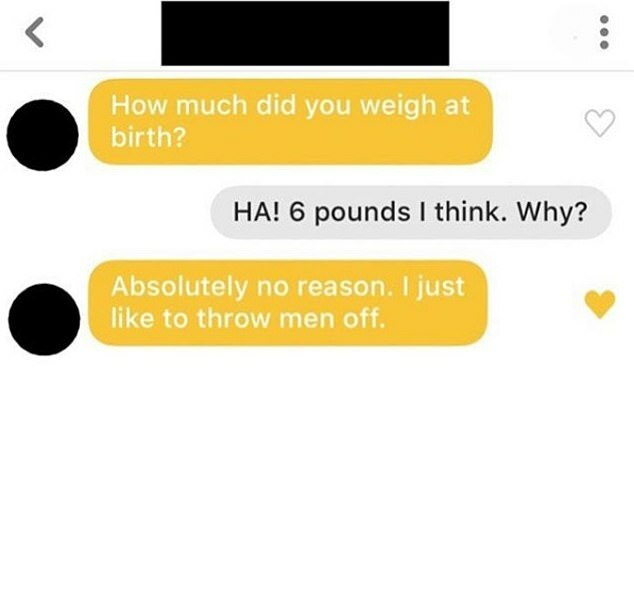 Another admitted that her opening gambit is 'how much did you weigh at birth?' 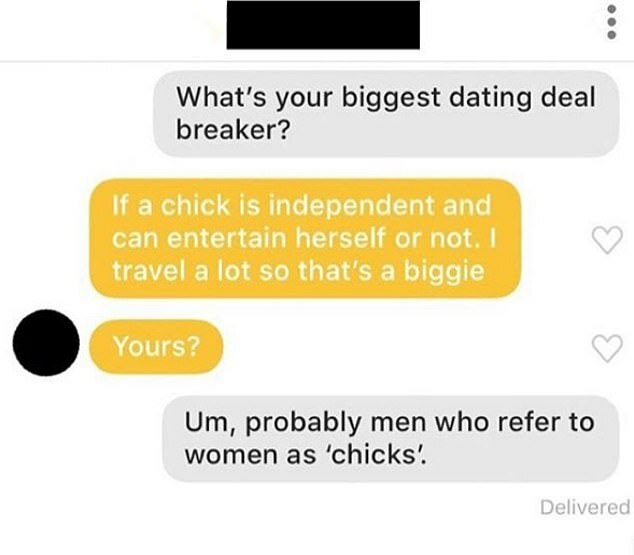 because she likes to confuse men. 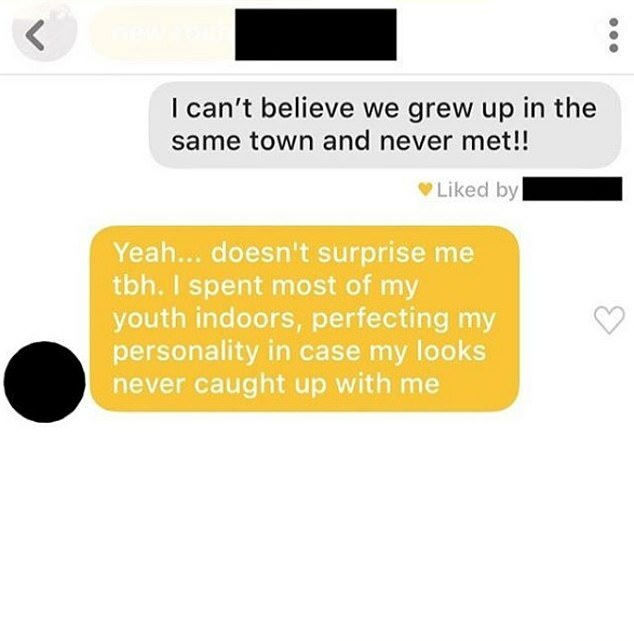 Meanwhile, a man was left red-faced when he told a woman she looked familiar and it turned out they had already been out on a date.